I just heard from one of our fellow contributors here at Frog in a Well that the National Library of Korea now offers limited support for a variety of browsers! Up until now anyone trying to use any browser except Internet Explorer in the Windows operating system would not get far beyond the search component of the national library – a source of endless frustration for many of us who do not use Windows. However, one can now view at least some (I have not confirmed this for all digital resources) of the scanned texts at the library using the “new viewer” (신규뷰어). Visit, for example, the fantastic collection of rare pre- and postwar (despite what the header says) newspapers found here. I am able to view these without problem on both Firefox and Safari browsers. Using the old search interface from the home page, default links to the original images or 원문 of old books that have been scanned by the library will also open in these browsers with the multi-browser new viewer if there is an brown icon of a book with no “won” image in it. 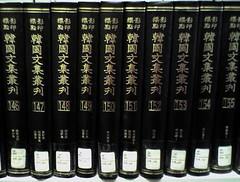 Many resources, including many pre-1945 Japanese language materials, however, seem to be blocked outside of the National library and certain partner libraries1 depending on the way one searches for that information. I am very pleased to see this support and only hope they will also include support for printing (still IE only) and make sure that all their online resources will function. I also hope they will expand access to may items which clearly cannot be said to be protected by copyright from the colonial period, especially from the 1920s and earlier. 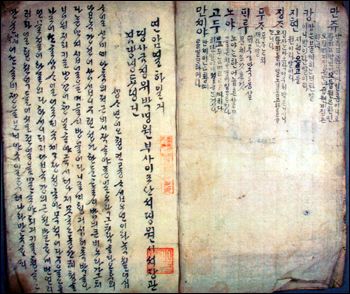 I have added two entries to the East Asian Libraries and Archives wiki here at Frog in a Well. I have so far only made a few reconnaissance trips to the library and checked out a few books so I don’t know all the tricks or secrets about making full use of the library’s collections but as my year in Korea progresses I’ll be updating the wiki entry. The film reference library at the Korean Film archive, located near Susaek station is really wonderful and the archivists have also done a fantastic job of putting together DVDs of some of the old classic movies, and providing access to movie scripts. The library was a bit of a pain to locate, even with the map found on their website, since the “Digital Media City” is still mostly an urban wasteland but I put detailed instructions on the wiki entry. Have you been to these places? Do you see some mistakes on the wiki entry? Fix them! Have you been to other useful Korean libraries, archives, or museums? Add an entry! The EALA wiki will only be as good as the information that gets added to it and updated as time passes. It’s always exciting when something new and exciting is discovered getting dusty in a forgotten corner of a library somewhere. This time it’s an early nineteenth century version of Pak Chi-won’s (朴趾源) Yorha Ilgi (熱河日記), a travelogue of the writer’s journey to Beijing in 1780, when he accompanied his older brother on a diplomatic mission. What makes this different is that it’s written in vernacular Korean. In other words, it’s a very early translation of the original text written in literary Chinese. 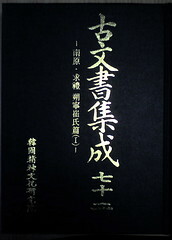 In fact it’s the only complete translation of the text found to date. 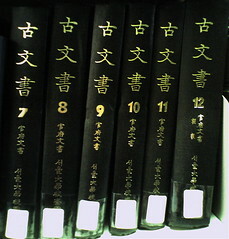 According to the Korea Times it was discovered in the library of Tokyo University by a Seoul National University professor. We have a few of these han’gŭl manuscripts at SOAS, mostly very well-thumbed late nineteenth-century novels, but could there be a lost treasure among them? One of the most difficult and frustrating aspects of studying Korean history while outside of Korea must be getting hold of the most up to date research in Korean. For quite a while I thought that it was impossible to get hold of Korean journal articles online if my university library didn’t hold them. Of course there are e-journal sites which libraries can subscribe to, but getting your library to sign up to access non-English language journals online is easier said than done in my experience. Stage One: Look for Korean journal articles on your subject. 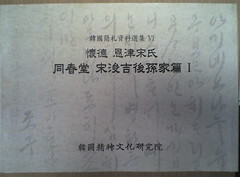 I would recommend using the history bibliography run by Hongik University called Korean Historical Connection. Alternatively, you can go directly to stage two. Stage Two: Go to the RISS site (Research Information Service Something-or-other / 학술연구정보서비스) and register – they have a special option for foreigners or other people unfortunate enough not to have a Korean ID number (주민등록번호). Stage Three: Now you can search for the articles you require at RISS. Many articles are free to download as PDF files, while others you have to pay for (I haven’t tried this option yet so I’m not sure how expensive it is). However, if the article you need is unavailable, don’t despair. Stage four: If you couldn’t get the article you needed at RISS then there is another option. If you return to the KHC site you will find that they provide a special service to historians of Korea residing overseas whereby they will find and photocopy any article you require and send it to you, only charging for the copying and postage. Again, I haven’t ever needed to try this out, but it sounds like a good service and I’d be interested to know if anyone else has tried it.